We stock a large selection of RJ45 Patch Leads as well as all of the ethernet cables that you need for your school, office or Data Centres. Our large range of RJ45 Patch Leads are available in a variety of lengths between 0.5m and 30m as well as 10 different colours. 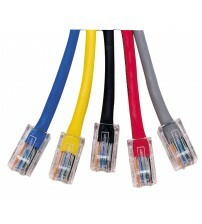 RJ45 - Make Cable Cafe your first choice for your RJ45 needs. We specialise in all types of Network cables and we supply everything associated with the RJ45 Networks. 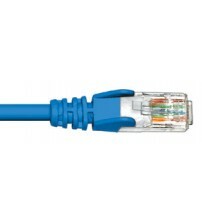 Our RJ45 products include Booted and Unbooted RJ45 Patch Leads. 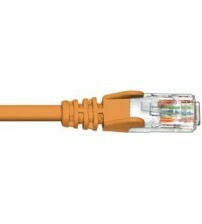 We can make CAT5e cables to any length required please contact us and we can help you. We can also Lable any of our cables to make them easy to identify in your network inferstucture. There may be a small charge for this and could increase lead times. 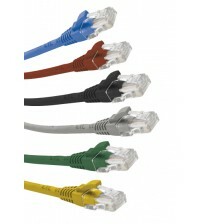 All of our cat5e Ethernet cables are iunstock and can be delivered next day anywhere in the UK.